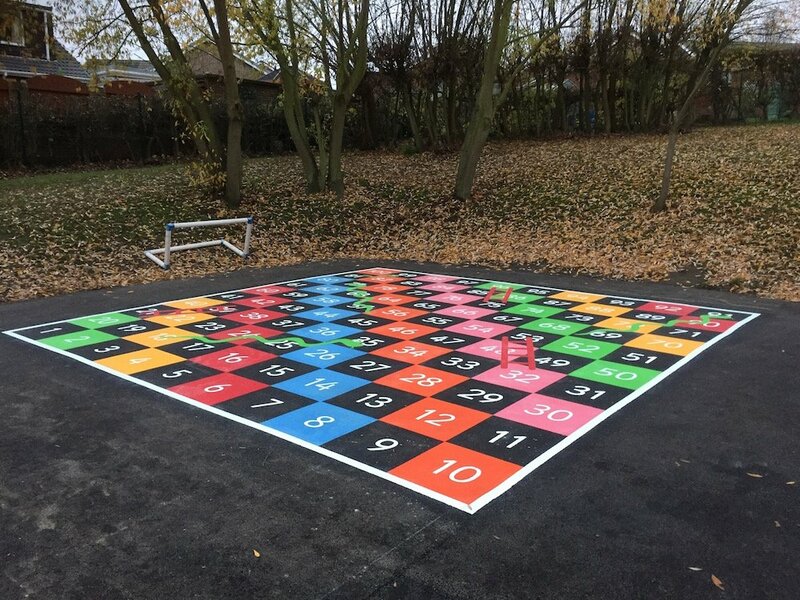 Our installation team travelled to Swinton Brookfield School in South Yorkshire to install a range of vibrant new playground markings. 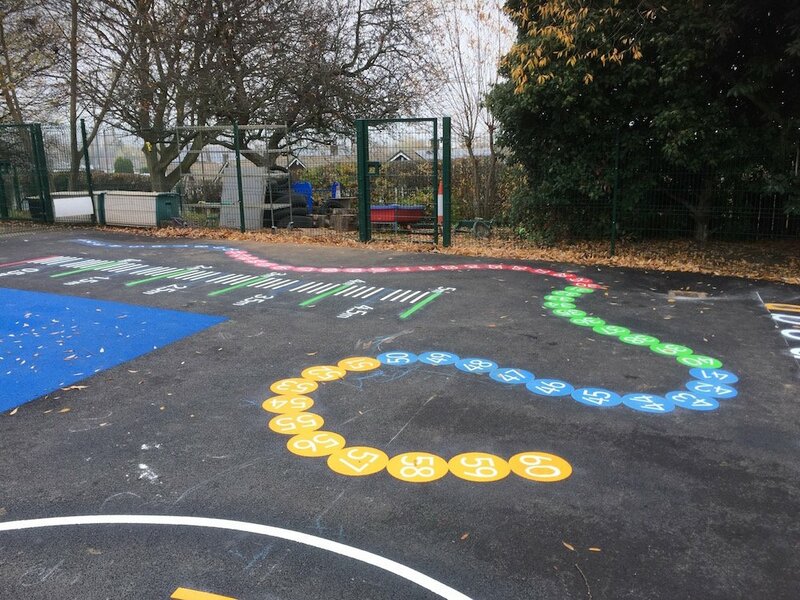 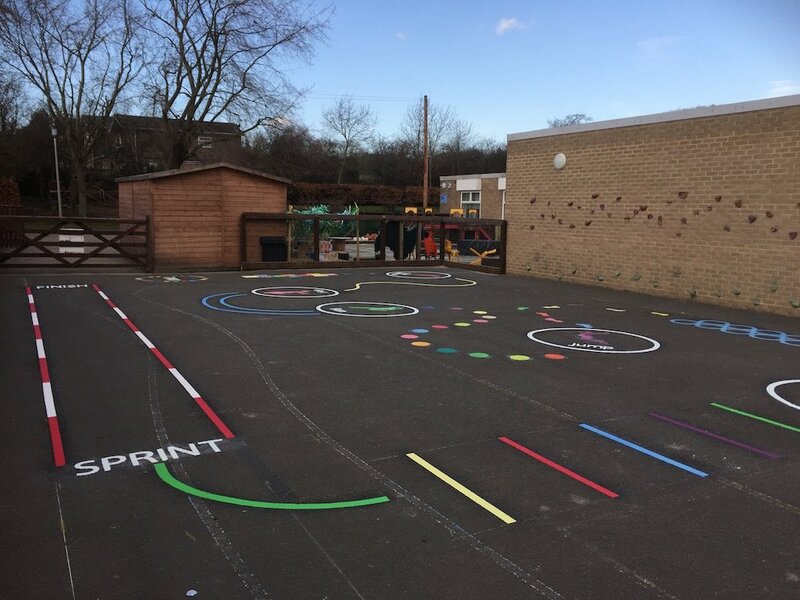 This vibrant range of markings consisted of 1-100 Snakes and Ladders, a Measuring Scale, a Cycle Track and several other exciting markings for the children to play on. 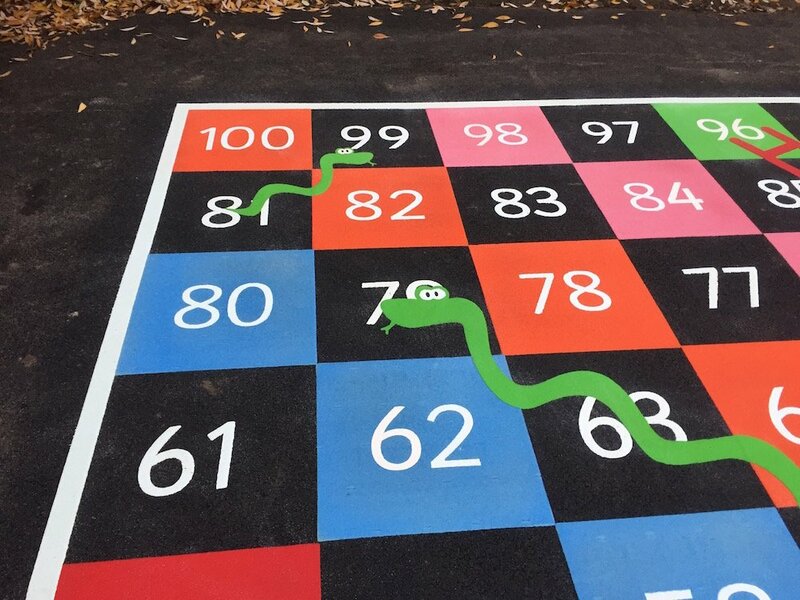 Firstly the team installed this 1-100 Snakes and Ladders. 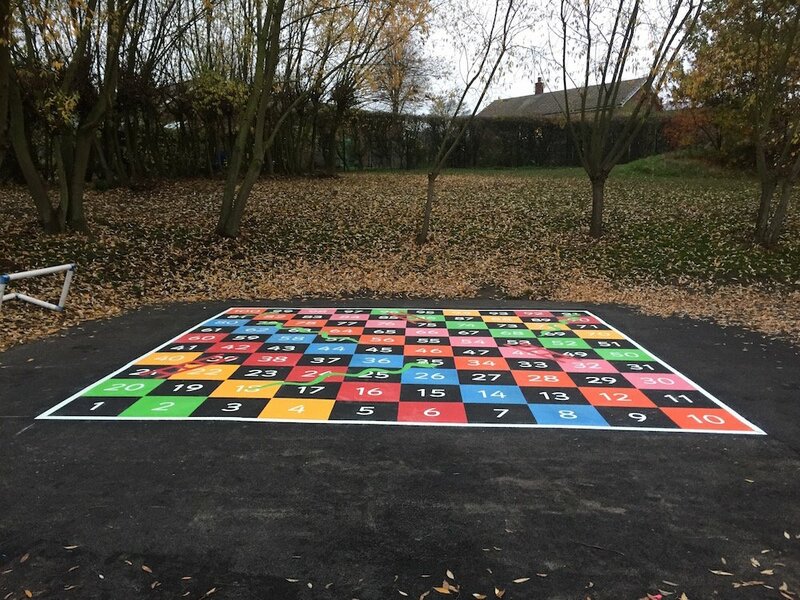 This classic board game, great for children of all ages is even more exciting when it is enlarged and instated to your playground floor! 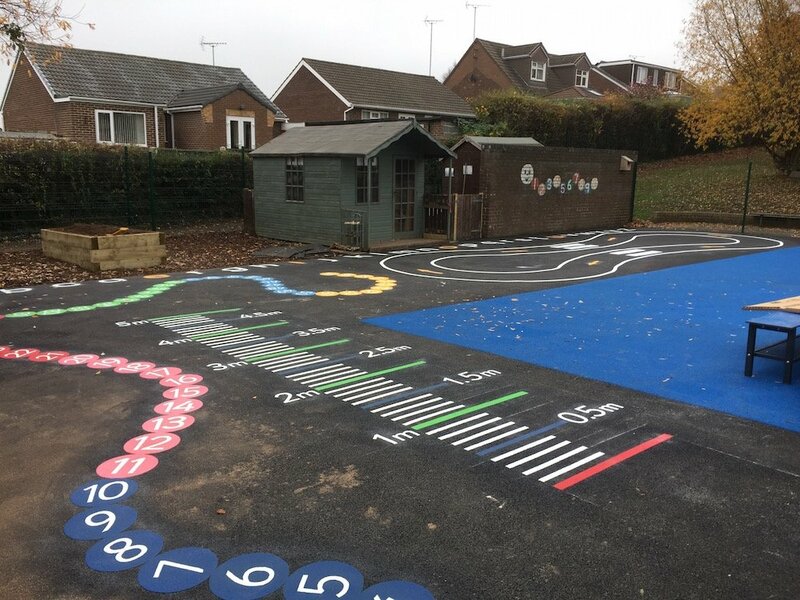 Next, the team installed this Measuring Scale. 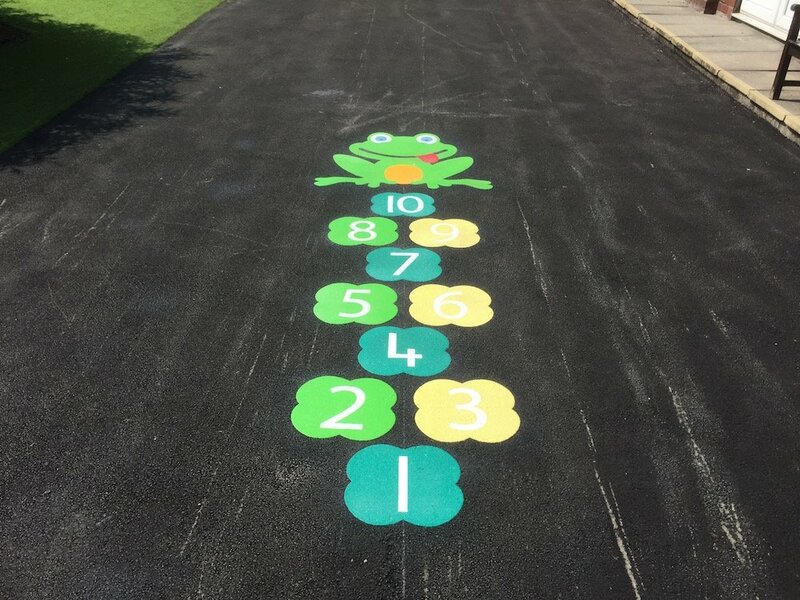 The measuring scale is a combination of long jump, triple jump, and standing long jump and is used to teach children basic measurement. 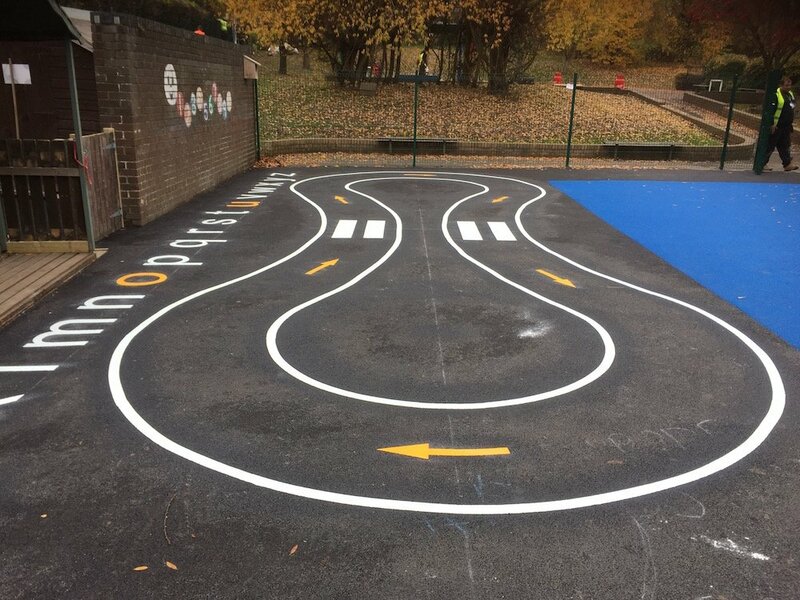 The team then instated this Cycle Track. 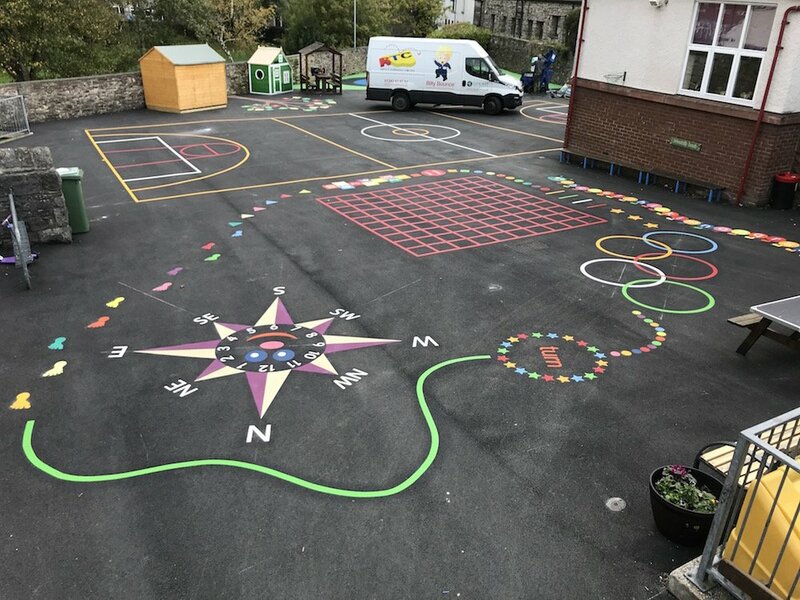 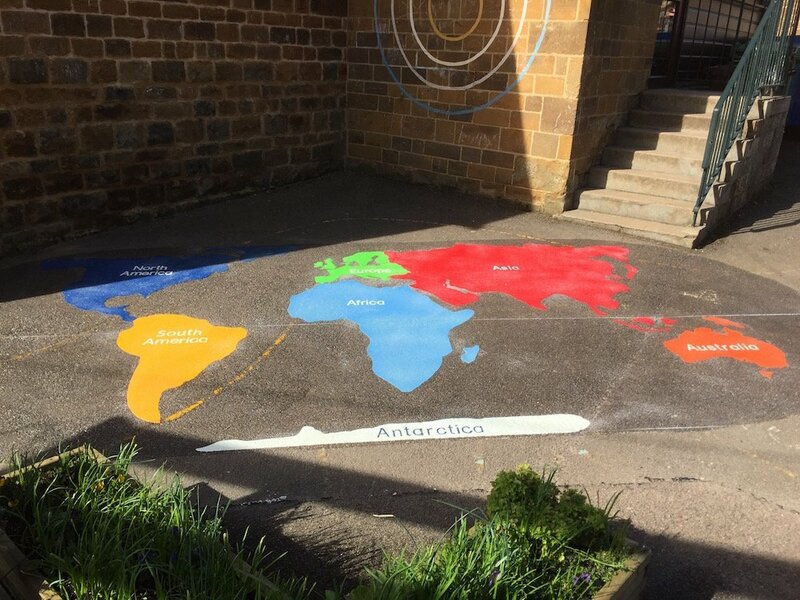 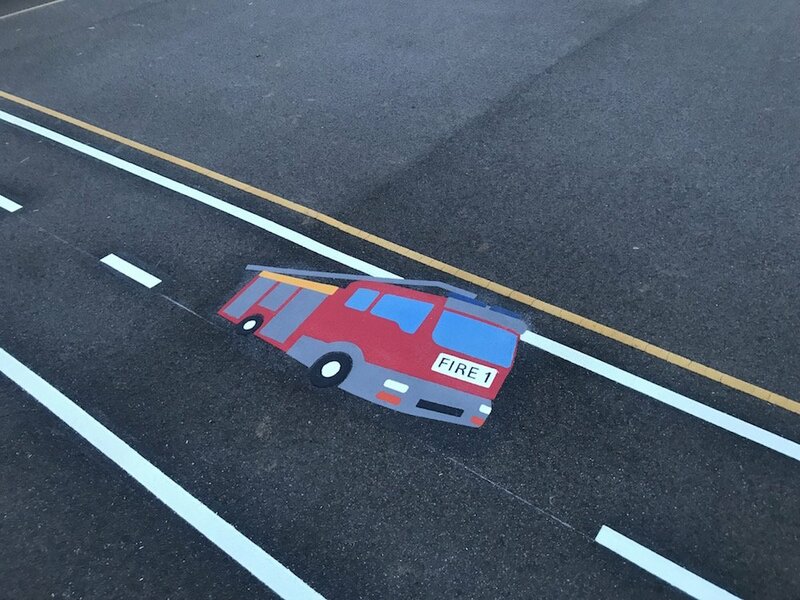 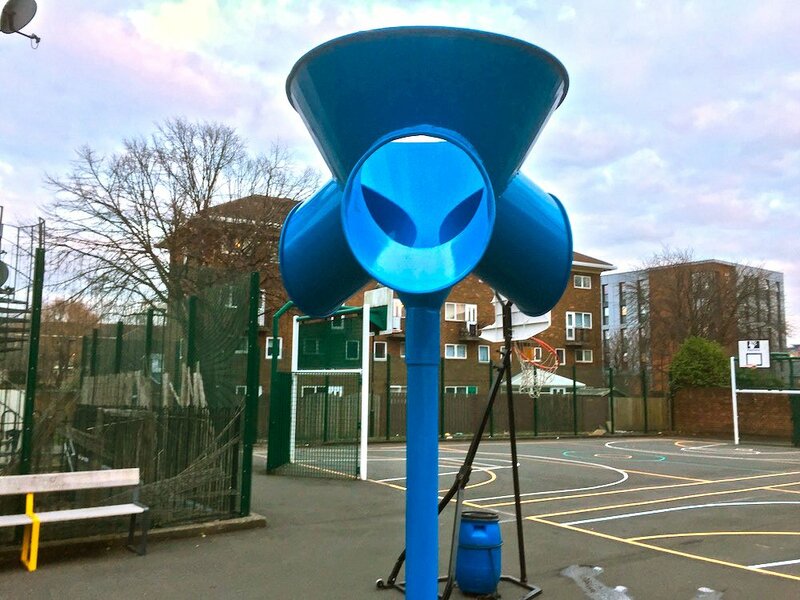 The job was a great success, the school staff were thrilled with the final product and are keen to have more markings installed in the near future. 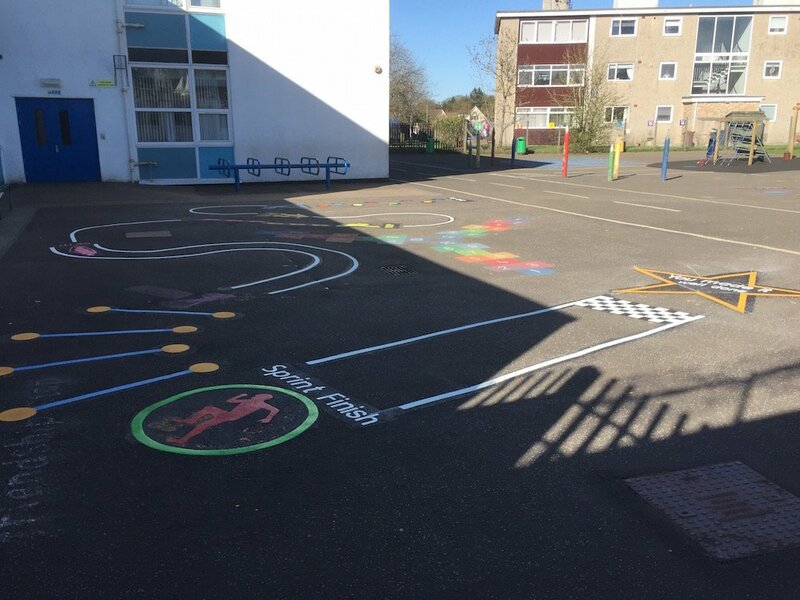 The children absolutely loved the markings and the teachers have said they have been on them ever since! 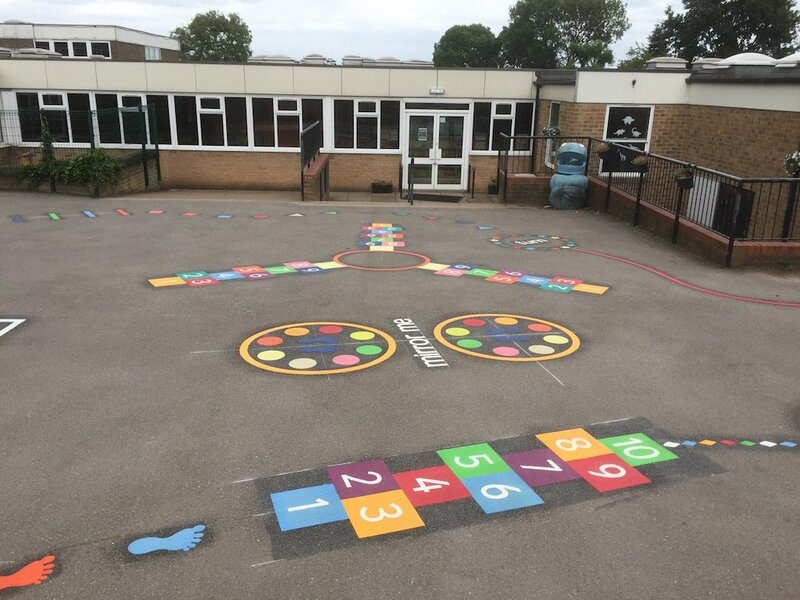 The rest of the markings installed included 1-60 circles and an alphabet with highlighted vowels.